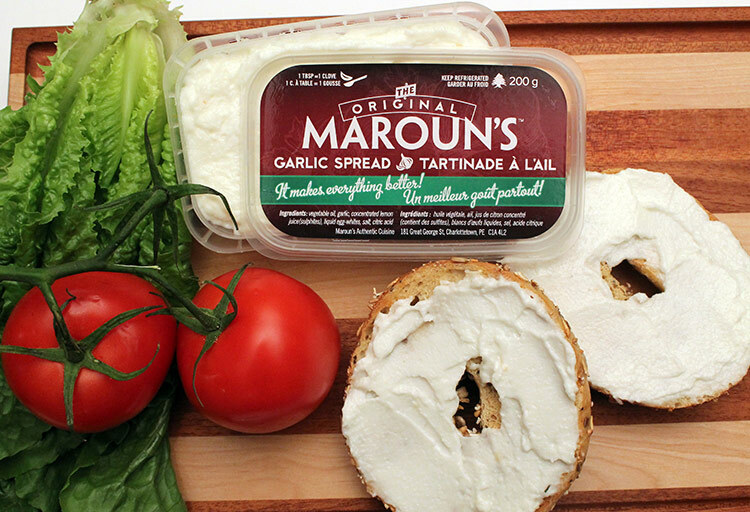 The Original Maroun's Garlic Spread DOES make everything better. 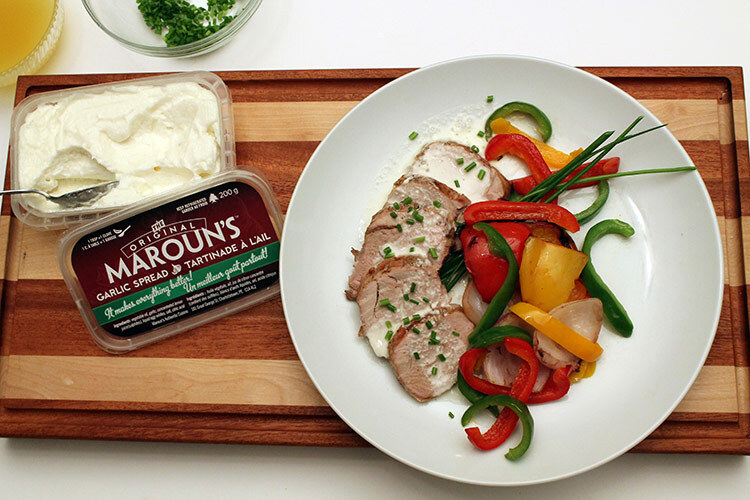 Recipes, sauces, dips, sandwiches… Maroun’s elevates pretty much anything savory. 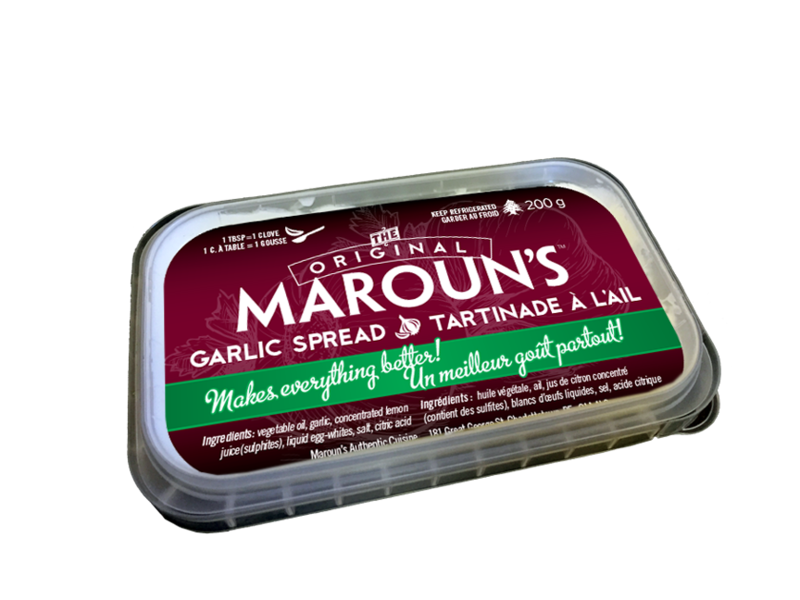 But make no mistake; The Original Maroun’s Garlic Spread is bold. Or as bold as you want it to be. 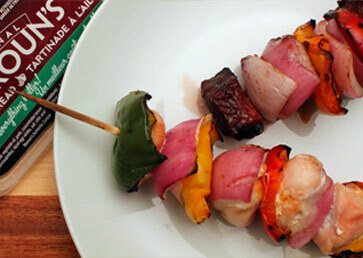 You can tame the taste, of course, by adding just a hint, but we think you’ll want to add more. And more. And more. by using the 1 TBSP = 1 Clove formula. Something this good has to have a history, and Maroun’s origins are found at Cedar’s Eatery in Charlottetown, Prince Edward Island. Established in 1979, Cedar’s has become a culinary icon in the province, and home to some of the best Lebanese (and Canadian) food you’ll ever taste. Here, Maroun’s Garlic Spread is a mainstay with Lebanese classics like Shish Taouk and Kafta… but those in the know like to order a side dish for dipping their French fries. It’s just that versatile. 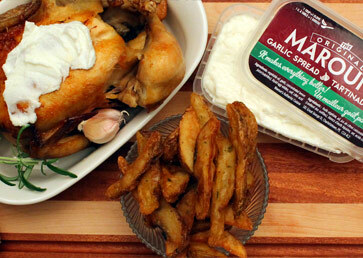 Wow someone (and yourself) with The Original Maroun’s Garlic Spread today. Available right now at Cedar’s Eatery in the convenient take-home package seen above. Stay tuned for grocery store locations coming soon. 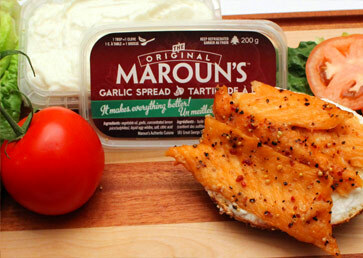 Mix together the Original Maroun’s Garlic Spread with the hot sauce of your choice. 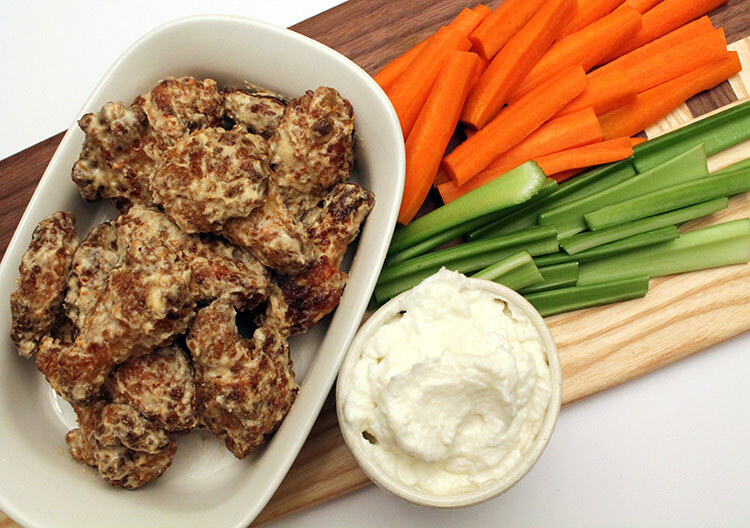 Pour over cooked chicken wings and toss to combine. Looks odd, tastes incredible. 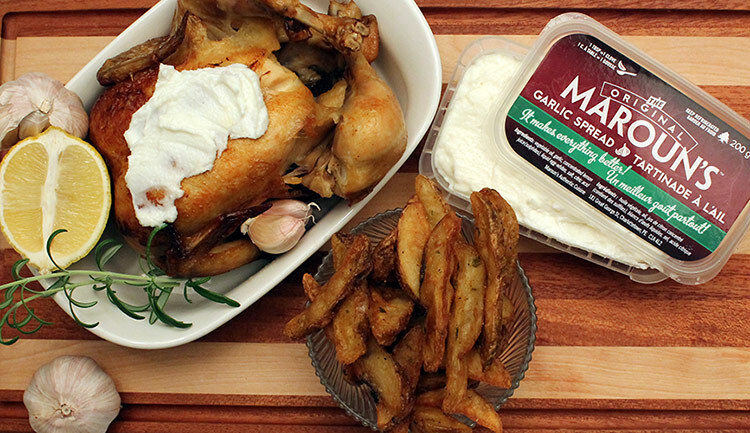 Use the Original Maroun’s Garlic Spread with roasted chicken two ways. 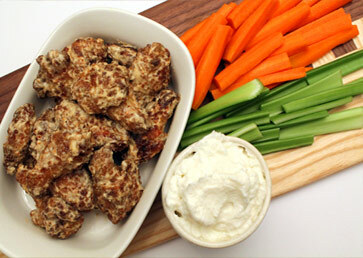 Thin to desired constancy with water and use as a marinade, or use as a dip for cooked chicken. 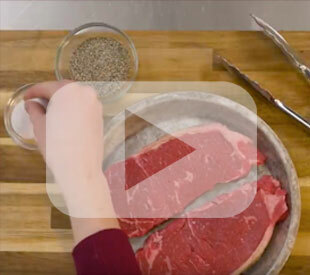 For even more flavour, mix with spices and herbs of your choice. 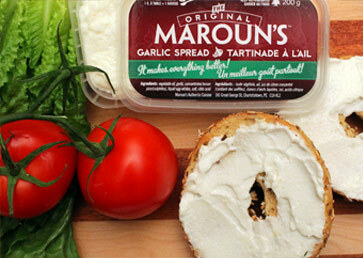 Use the Original Maroun’s Garlic Spread as a zesty spread wherever you use cream cheese. 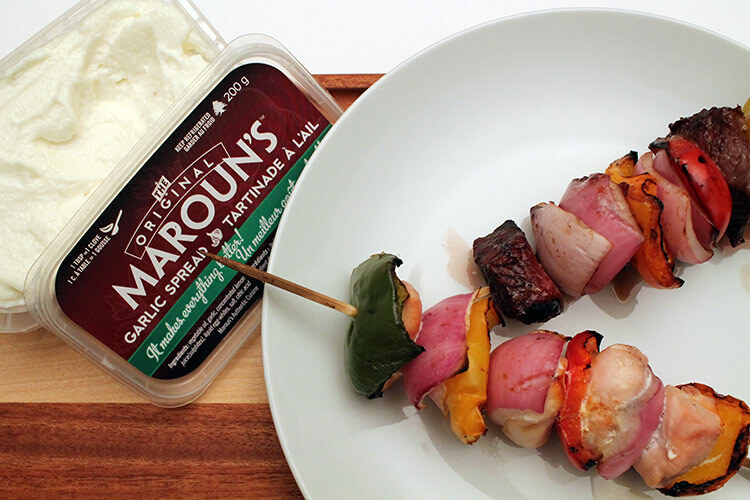 What goes better with a kebab than the Original Maroun’s Garlic Spread? 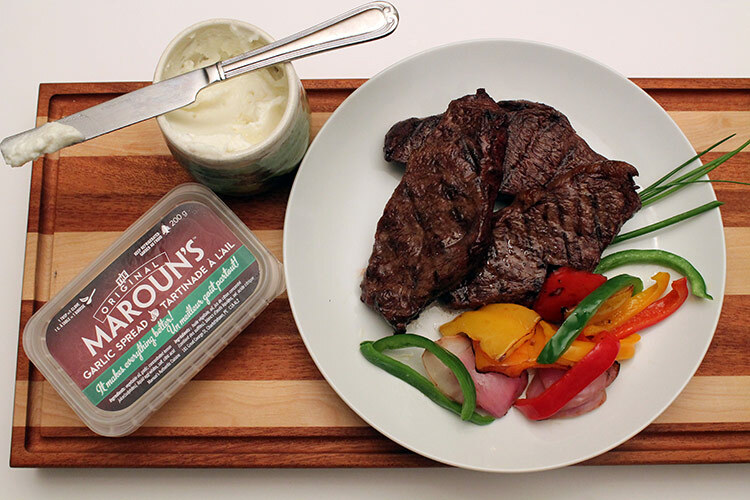 Goes great with for dipping with other grilled meats and vegetables too. 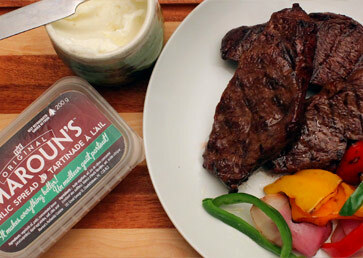 Instead of HP Sauce, horseradish, or your usual accompaniment with meat, try the Original Maroun’s Garlic Spread. On the side as a dip or thinned with water, heated (not boiled), and drizzled. 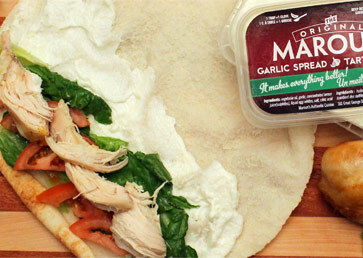 Thin the Original Maroun’s Garlic Spread with water to desired consistency. Heat (don’t boil), and pour over pork, beef, chicken, etc., and serve. 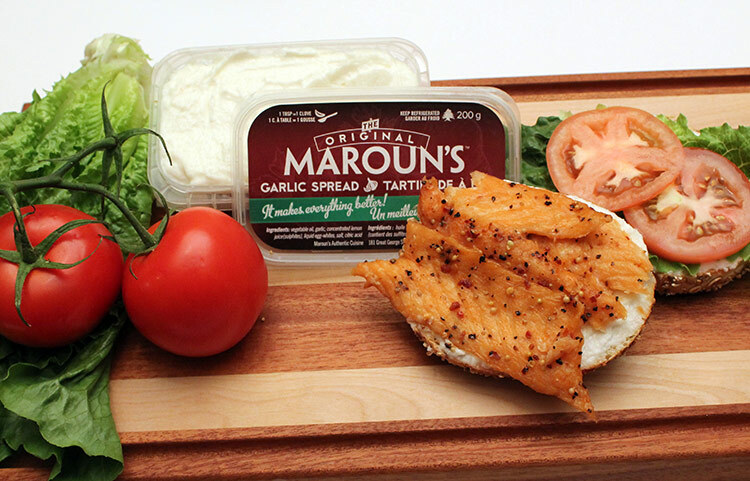 Give an extra kick to smoked salmon on a bagel by substituting the Original Maroun’s Garlic Spread for creamed cheese. 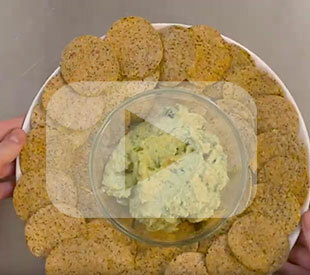 Mix dill with the paste for even more complimentary flavor. 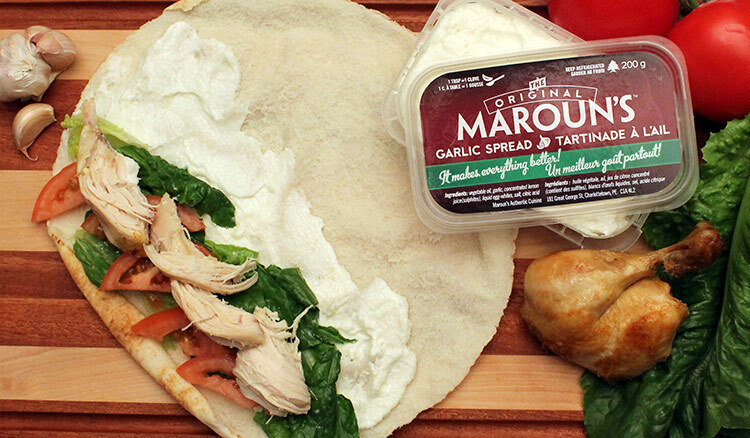 Add zest to your sandwiches with the Original Maroun’s Garlic Spread. To make it Maroun style, use pita. 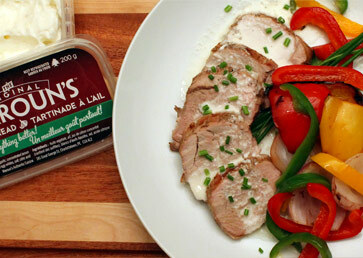 Contact us for more information on The Original Maroun’s Authentic Cuisine products and where to find them. © Original Maroun’s Authentic Cuisine 2019 - All rights reserved.